JIMMY CHOO may be Malaysia’s most famous fashion export, but he may soon be dethroned by a new wave of Muslim millennials. 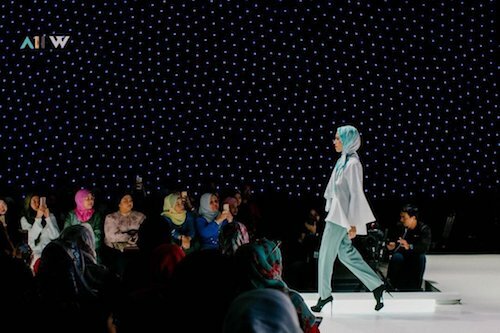 This month’s Asia Islamic Fashion Week (AIFW) 2017 in Kuala Lumpur, Malaysia, showcased local “modest wear” designers from the host country, neighbouring Muslim-majority Southeast Asian nations of Indonesia and Brunei, and across the globe. 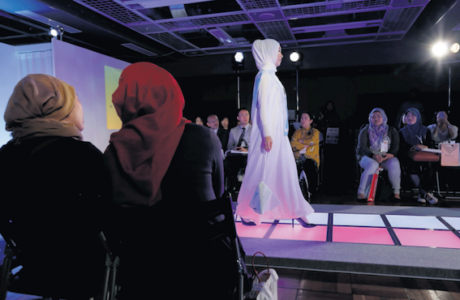 Organisers adopted the theme of “Establishing Asia as a Global Centre for Islamic Fashion” – fitting, given in the demographically young, rapidly growing economies of the Asia-Pacific region, one in four people is Muslim. Modest wear has emerged as a buzz-term in recent years, as Muslim consumers have sought clothing that is not only halal, but also stylish in a 21st-century context. Islamic fashion is dictated by the holy Quran, which directs adherents to conceal nakedness and beautify one’s appearance. Haram materials considered dirty, such as pig’s leather, are forbidden. 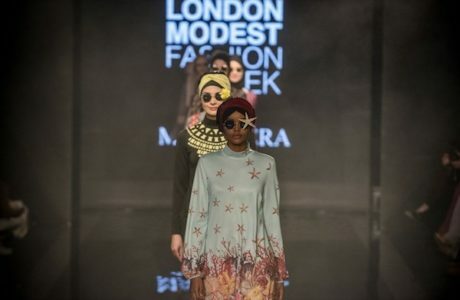 Traditional Arab-influenced attire and batik designs from the Malay archipelago, as well as more casual and contemporary styles aimed at young Muslims were all on show at AIFW2017. The event attracted fashion houses from places as far flung as Japan, France, the Netherlands, and South Africa. A raft of notable attendees included New York-based ELLE columnist and Haute Hijab CEO Melanie Elturk, Malaysian TV host, musician and style icon Mizz Nina, and the Indonesian trailblazer of modest fashion Dian Pelangi, who boasts 4.7 million followers on Instagram. 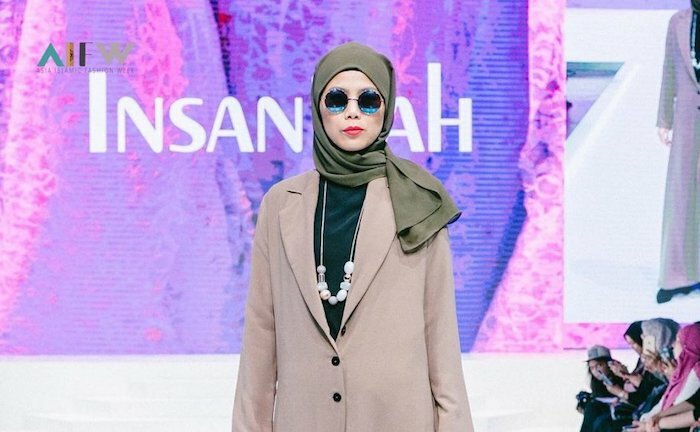 While the event drew big names from global Islamic fashion, it also provided a launchpad for many fashion startups from Southeast Asia. Local label Insaniyah – its name taken from the Malay and Arabic word insan meaning human – was one of them. One university from Malaysia’s east coast was displaying batik designs made by prisoners, who the school helps equip with traditional textiles skills. Whilst most labels at AIFW target their products at female consumers, the presence of several men’s brands suggests a promising market in Muslim male fashion, too. The Amy Search General Products Co makes traditional Malay-style prayer clothing known as baju koko to mirror the style of its namesake founder, local rock star Amy Search. Brand spokeswoman Izzati Ismail told Asian Correspondent as “Malaysia’s Mick Jagger”, Amy Search is an influencer in what men, particularly Islamic men, choose to wear. While Izzati says, “usually it’s the wife who chooses” which colour the family will wear to mosque, some men are becoming discerning consumers of Islamic fashion. An American entrepreneur based between Los Angeles, Milan and Paris, Mohamad Geraldez got his big break in the business world selling silk-free neck ties. According to Islam, men are forbidden from wearing silk or gold. According to Mohamad, his “vegan” silk-free ties also appealed to Hindus, whose religion dictates they should minimise harm to other life forms. It also gained the support of global animal rights NGO People for the Ethical Treatment of Animals (PETA). Breaking into markets beyond only Muslim consumers, “That was my first W [win],” he said. 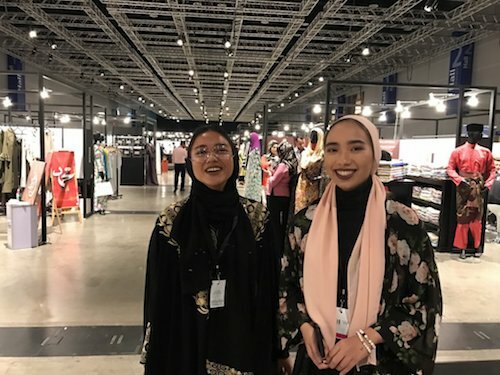 A banner from the Malaysian government that read “Grow Your Community #BuyLocal” may have hung near the entrance at AIFW, but Islamic fashion has become a truly global phenomenon. According to Thomson Reuters’ 2016/17 State of the Global Islamic Economy Report, Muslim consumer spending on clothing was estimated at US$243 billion in 2015, or 11 percent of the global total on apparel. 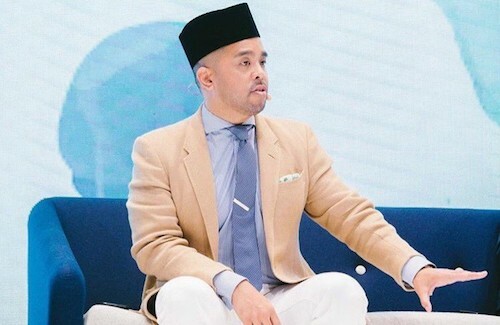 While Indonesia is the largest Muslim-majority nation on earth, its spending on Islamic fashion is dwarfed by wealthier markets in Turkey and the United Arab Emirates. But as the Asian middle class grows exponentially, as does the Islamic faith, this seems likely to change. According to the Pew Research Center, more than 60 percent of the world’s Muslims live in the Asia-Pacific region – a far greater number than in the Middle East and North Africa. What’s more, the world’s Muslims are young. The median age of world Muslims in 2010 was 23. “In today’s world, Muslims have the largest population of millennials, and they’re demanding to be more and more stylish,” Islamic Fashion and Design Council chairman Alia Khan told CBS News last year. Alia was the International Adviser for AIFW 2017. 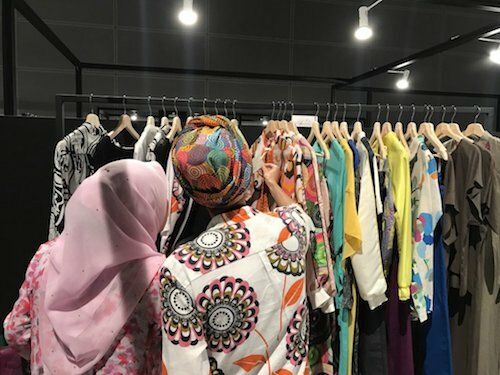 Indeed, Thomson Reuters’ research shows social media-addicted Indonesian millennials spend by far the most time discussing modest fashion online, followed by Malaysia, Singapore, Pakistan and Taiwan, signalling these emerging Asian markets are ripe for expansion by Muslim fashion houses. With Southeast Asian online fashion giant Zalora as a partner of AIFW, it’s clear that business understands this. In recent years, major brands such as H&M, Uniqlo, DKNY, and Dolce & Gabbana have embraced modest wear to make themselves more appealing to the 1.6 billion Muslim consumers worldwide. High-end British label Burberry released its first Ramadan collection in 2016. 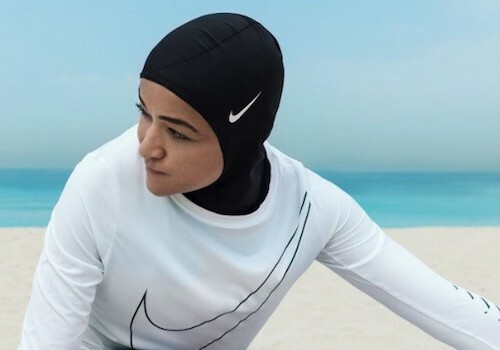 Nike recently announced its first “Pro Hijab” for Muslim athletes to be released to the market by early 2018. One woman even intends to climb Mount Everest donning the Nike hijab. 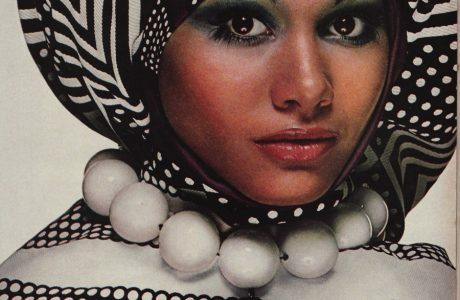 But corporate brands’ movement into the Muslim market has not been without criticism. In a post-9/11 world, how Muslims choose to dress has become an oft-debated topic in Western countries. Back in 2004, Australian manufacturer Aheda Zanetti created the burkini – a modest form of swimwear seen by many to have empowered Muslim women by allowing them to swim in public comfortably. The burkini has caused significant controversy in Europe, however, including in France where various jurisdictions have attempted to outlaw the garment. Discriminatory laws introduced in Europe won’t stop the rapid growth of Muslim adherents, nor their appetite for Islamic fashion. Islam is the fastest growing religion on the planet. Pew Research estimates by 2050, the number of Muslims worldwide will grow to 2.76 billion, or 29.7 percent of the world’s population. Jamel Abouchakira – the founder of French Islamic streetwear brand Syndeed – told Asian Correspondent whilst influenced by Islamic styles, he hopes non-Muslim men will embrace his clothing line.